The ongoing debate over a lack of movie merchandise depicting female characters—whether it’s Marvel, or Star Wars, or anything—seems like it’s finally having an effect. The Guardians of the Galaxy sequel wants to right the wrongs of its original toyline, and director James Gunn himself is leading the charge. Guardians of the Galaxy’s merchandise line was a bit of a mess—whether it was completely missing the boat on Baby Groot, the breakout star of the film, or more worryingly its erasure of Gamora from toys shelves, t-shirts, and a plethora of other bits of merchandise because the movie was “for boys” in the eyes of narrow-minded assholes. 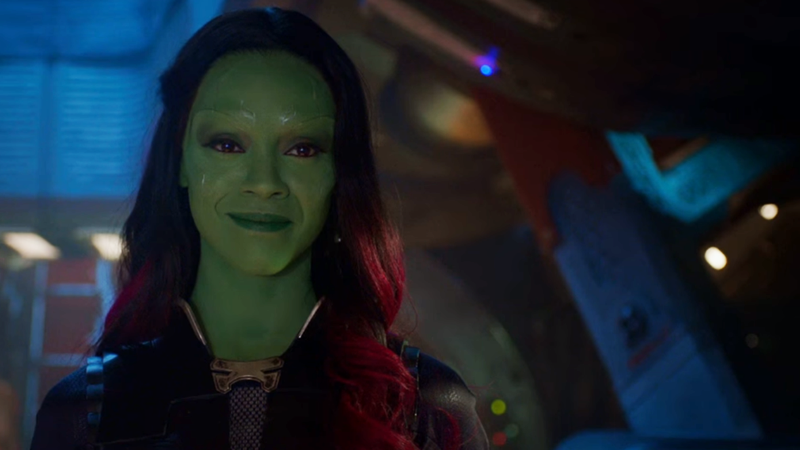 The situation was so bad with the first film’s merchandise, fans rallied on social media under the ‘Where’s Gamora?’ hashtag, lamenting either the complete lack of her toys on shelves or her mysterious absence from group shots of the guardians on others. But it seems like, at long last, the backlash has gotten through. I’m making sure this time around the female characters are more represented in the toy world. Not only Gamora, but Mantis, Nebula, and Elizabeth Debicki’s character as well. A director shouldn’t really have to get involved to make sure characters of all ilks are represented in the merchandise, but Gunn’s voice is a welcome addition to the chorus. Let’s hope it ends up being reflected when Guardians of the Galaxy Vol. 2 toys start hitting shelves next year.